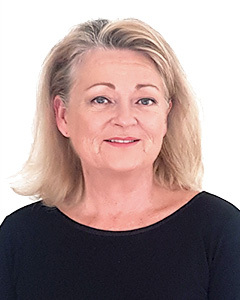 Christina joined GDP Global following her role at Invest in Sweden Agency (ISA), the Swedish investment promotion agency (IPA). With 20 years dedicated to economic development and investment promotion, she has undertaken multiple strategic consulting and training assignments in investment promotion for national and regional government ministries, embassies, and IPAs across five continents in 70 countries. She also worked with multilateral organisations, and specialises in investment promotion agency start-us, reorganisation, policy advocacy and performance in investment promotion, and sector-led projects. IPA strategic and operational focus; devising and launching new markets, sector and cluster initiatives; technology and sector programmes; investor targeting and strategic regional collaboration programmes; roll-out and implementation of agency performance evaluation system and balanced score card. Investment promotion strategic tools: sector feasibility studies, market studies, perception studies, market intelligence and research, performance evaluation of results, policy advocacy and CRM development. IPA investor services: creation of investor services units, regional servicing agreements; networks of national and international corporate advisors. IPA training: delivery of training at public courses and in-house client programmes for national, regional and city investment promotion agencies. Provides technical assistance assignment for UNCTAD, World Bank, Inter-American Development Bank, the Millennium Challenge Corporation. Co-founder and senior executive of ISA. Executive director of the ISA UK office. Education: Marketing Management Economist/DRMI (Berghs School of Communication, Sweden); Bachelor in Ecomy (Östra Real Gymnasium, Sweden); Spanish, English, French (Centro de Estudios Superiors, CESA, Spain). Languages: Swedish (native), English (bilingual), Spanish (bilingual), French (good).